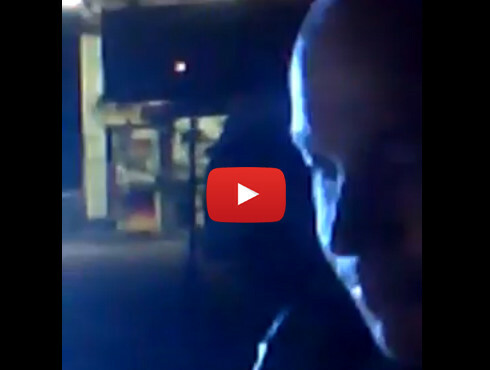 This Woman Was Pulled Over After Filming a Cop Parked Illegally, Then She Let Them Have It! (Henrico County, VA) — Jennifer Smith was conducting a little police accountability Friday night by filming an Henrico County police officer who’d parked illegally at a gas station. The officer was on official duty, however, as Smith points out in the video there were five legal parking spaces available. The officer apparently parked illegally just because he can. Smith explains that she has a plethora of footage of the Henrico County cops breaking the law. She also explains how she and her husband are constantly harassed by these same cops. She has had enough. After Smith filmed the ‘above the law’ actions of this Henrico County public servant, she then left the gas station. Smith can be heard yelling at her passenger Sobi, to “Get back in the vehicle,” in the beginning of the video. She explains that Sobi is from Egypt and does not understand that you shouldn’t get out the vehicle in the US because the police will react with violence. Once this assertive and articulate woman gets control of the situation, Smith lets the officer have it. Her fearlessness in the face of the badge was inspirational. Best of all, and most likely due to the fact that she was filming, Smith gets off without a ticket! We are waiting on Smith to give us the other video which shows the officer parked illegally and will update this article when that happens.